If there's something I look forward to everyday, that would be when my kids go home from school. Being a work at home mom like myself, doesn't mean you have all the time in the world to prepare your kids' meals. From time to time we have food delivered for dinner. I'm glad McDo has McShare Box that contains the best-tasting Chicken McDo to make dining moments with families and loved ones more special. McDonald’s offers the new Each piece is sure to satisfy everyone’s chicken craving because the new and improved Chicken McDo is marinated, breaded, and fried to a golden perfection. It’s definitely juicier and tastier with just the right crunch! 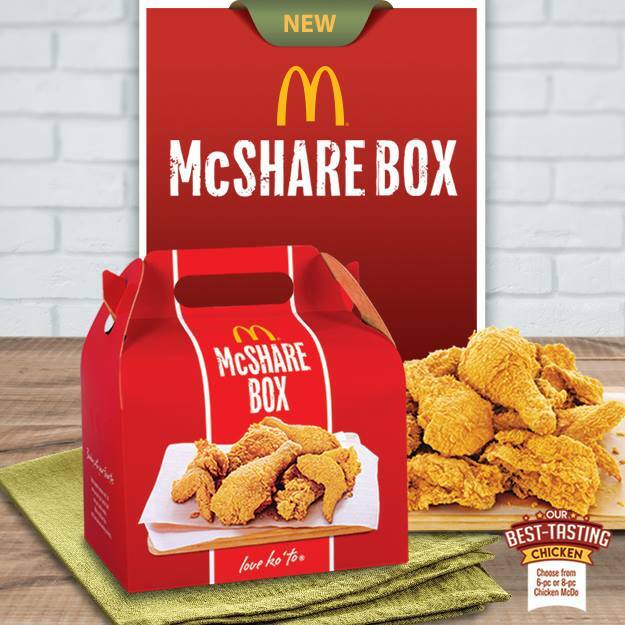 Choose between the McShare Box with 6-pc and 8-pc Chicken McDo to complement your tasty meals whether at the dining table or in your favorite McDonald’s restaurant. For your friends bonding, the McShare Box is also available in McShare Bundles which has Chicken McDo with rice, drinks, and the BFF Fries. 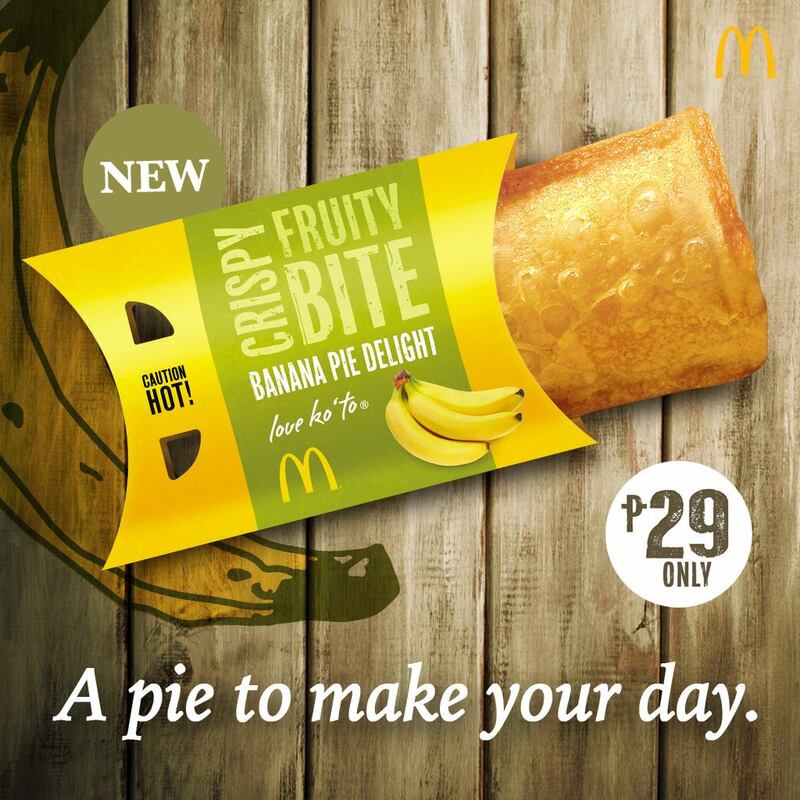 You can likewise top off every feast time with the new Banana Pie, McDonald's treat that is made with a delightful blend of brilliant, flaky hull over sweet, rich banana filling—genuinely a pie to fill your heart with joy! McShare Box with the best-tasting Chicken McDo, and the new Banana Pie is available anytime at McDonald's stores nationwide. You can also grab them via Drive-Thru or McDelivery (86-2-36, www.mcdelivery.com.ph, or the McDo PH app).